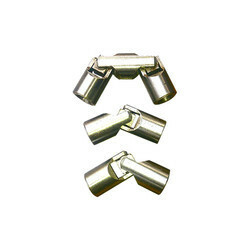 Prominent & Leading Manufacturer from Ahmedabad, we offer universal joint small size (brass), double pin type universal joint small size, spline pin universal joint push lock, universal joint bearing type, heavy duty universal joint and telescopic long length universal joint. 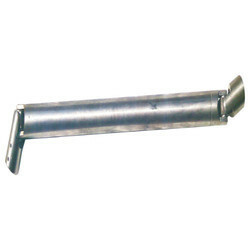 We are instrumental in providing our clients a comprehensive range of Rotary Printing Machine Joint. 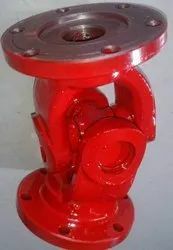 Our provided machine joint is available in diversified sizes and specifications, as per the variegated requirements of our prestigious clients. Our skilled professionals design this machine joint using the best quality raw material and sophisticated technology. Used to cure or emboss printed or dyed fabric, paper, leather and metal, clients can avail this machine joint for us at affordable prices. 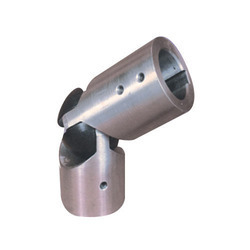 We are dealing Spline Pin Universal Joint Push Lock and providing to our customers in best quality. 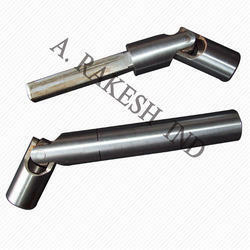 Being a client-centric organization, we are engaged in offering a distinct collection of Double Universal Joint. 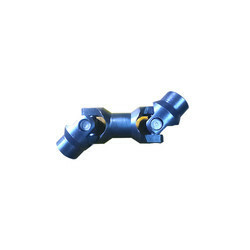 Our adept professionals design this universal joint using top notch quality raw material and cutting edge technology. 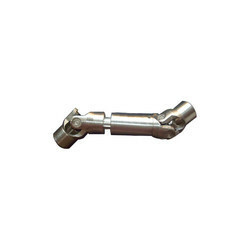 Our provided universal joint is strictly tested on variegated parameters by our quality examiners so as to deliver a flawless product at clients end. Moreover, this universal joint provides accurate positioning and flexibility under higher operating angles. 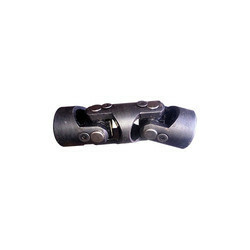 By keeping track with the market development, we are offering optimum quality Universal Joint . Our provided joint is designed by our experienced professionals using the finest quality raw material and cutting edge technology in compliance with set quality norms. Used in food industry, pharmaceutical industry, printing industry, packaging industry and automobile industry, offered joint is rigorously tested by our quality controllers on varied parameters in order to ensure its durability. 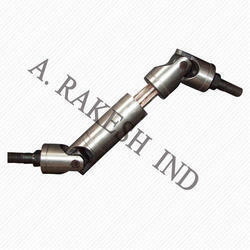 We are engaged in manufacturing and supplying high quality UNIVERSAL Joint. Designed using optimum quality raw material and sophisticated technology, this spine joint is manufactured by our skilled professionals in adherence with set industry standards. Ideal applications allow speeds of up to 4000 rpm, provided spine joint is tested by our quality examiners on varied quality parameters. 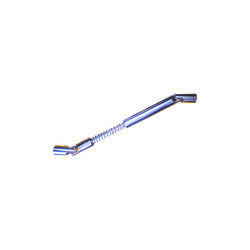 We offer this spine joint to our clients at affordable prices. 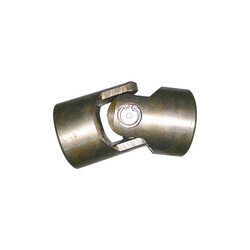 We are dealing Spline Universal Joint and providing to our customers in best quality. 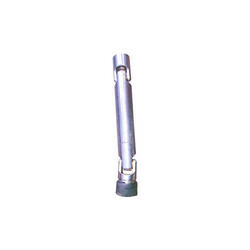 Our company supplies and exports a wide range of to Telescopic pin joint our customers situated all over the world. 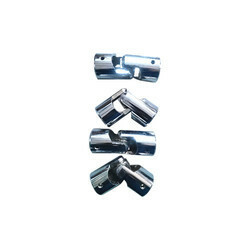 Procured from reliable vendors, these rings are fabricated from excellent quality stainless steel, carbon steel, nickel and other metal alloys. Widely used in construction and automobile industry, these rings are known for their durability, longer life, high functionality and good tensile strength. 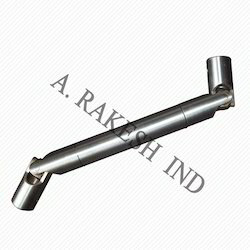 With the valuable assistance of skilled team of professionals, we are offering an extensive range of Telescopic Universal Joint to our clients. 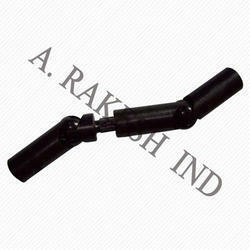 As per set industry norms, offered spine joint is manufactured using high grade raw material and advanced technology. Furthermore, provided spine joint is stringently checked against different quality parameters to eliminate any type of flaw. 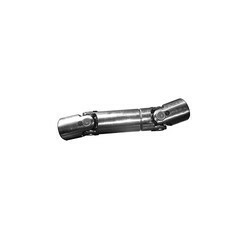 Available with custom modifications and specifications at the most reasonable rates, our offered spine joint is ideal for different industrial machinery.